F1 world champion Lewis Hamilton has declared his love for motorbike racing following his test day in Jerez. Reigning Formula 1 world champion Lewis Hamilton has declared his love for motorbike racing following his test day in Jerez, adding “I’ve always loved two wheels more than four”. 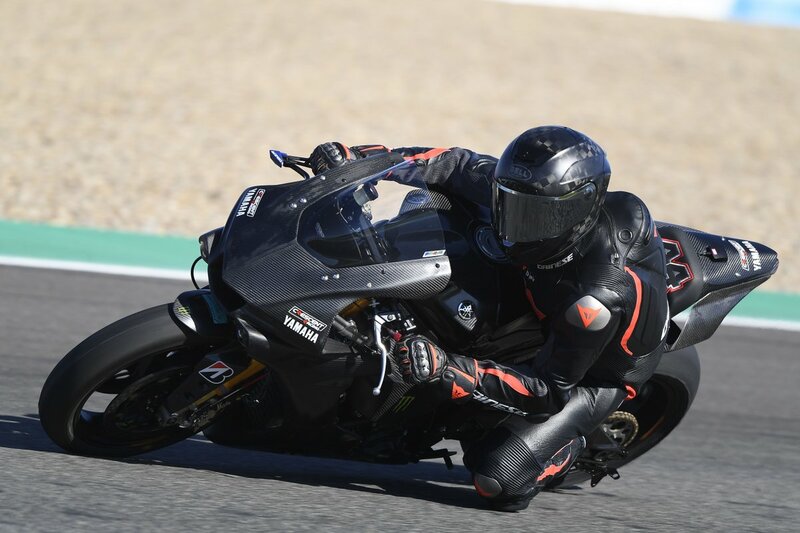 The recently-crowned five-time F1 world champion carried out a track day at the former Spanish Grand Prix venue on an all-black Yamaha YZF-R1 alongside World Superbike riders Alex Lowes and Michael van der Mark. Hamilton suffered a small crash but was uninjured during the event organised by the Pata Yamaha World Superbike Championship squad and British track day firm No Limits. On Monday, the Briton took to his Instagram account to post a message emphasising his love for motorbike racing, though he stressed he has no plans to switch over to two wheels permanently. “Good morning! Woke up feeling great today,” Hamilton wrote. “Miss riding the superbike already. FYI I’ve always loved two wheels more than four. “Always wanted a motorbike since I was a kid however I am super grateful my dad got me a kart. “But current new love is out on track on my bike. “I have the highest regard and respect for these motorbike riders,” he added. “It’s a much different discipline however [it] require[s] some of the same basics such as time, patience, fearlessness, focus, agility and risk taking – all of which make a sport exciting. Hamilton concluded his post with a message to nine-time world champion Valentino Rossi, asking to join the Italian for a ride at his motocross ranch in Tavullia, Italy. “Valentino Rossi I need to come to the ranch asap,” he said.